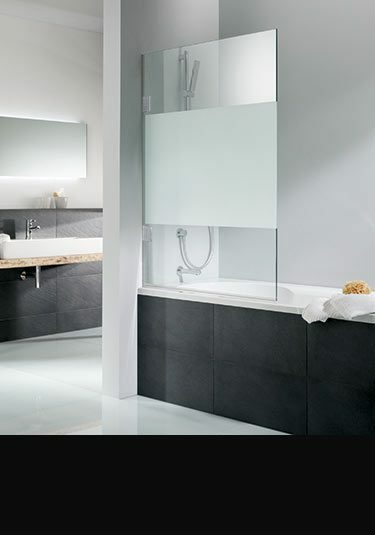 Suppliers of superior quality bath screens in clear and frosted glass. 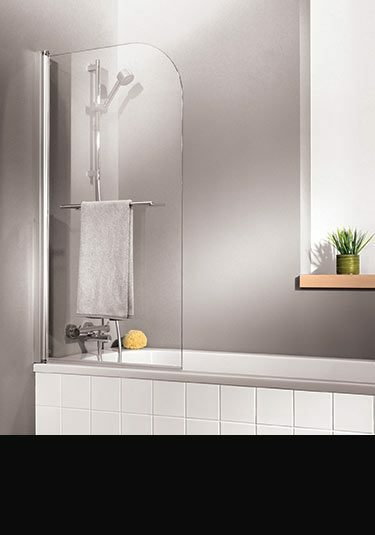 These over bath shower screens are made in frameless glass with strong folding hinges. Available in frameless styles, these glass shower bath partitions make an ideal addition to contemporary and traditional bathroom design. 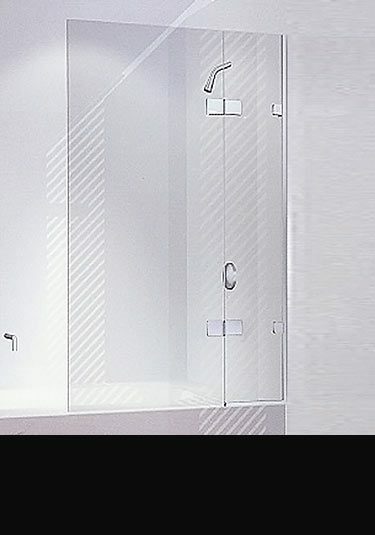 A clear glass bath shower screen made of 5mm safety glass. Each bath screen has a towel hanging handle. A luxury bath shower screen made in market leading 10mm toughened glass. Made in Britain. 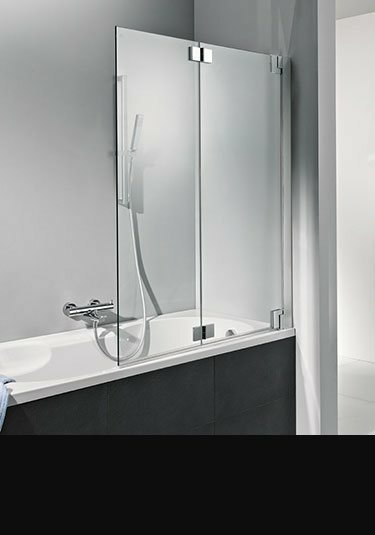 Beautiful German quality bath screen made in 8mm safety glass which completely folds flat against the wall when not in use. This folding bath shower screen has smooth action hinges and rising hinges on the deflector screen. 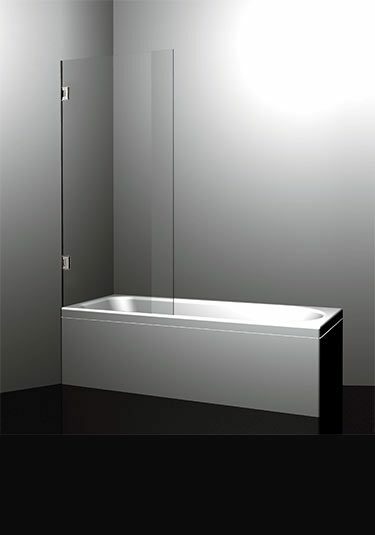 A lovely quality frosted glass bath screen made in superior 10mm toughened glass. This opaque glass is sand blasted etched and not the cheaped frosted film. Made in Britain. A British made shower screen for fitting to the bath rim. This luxury bath shower screen is made in superior 10mm safety glass and has chrome on brass fittings. A shower bath screen that swings out on rising hinges. Manufactured in 6mm safety glass.